The Tuareg inhabit the Saharan regions of North Africa - Niger, Mali, Libya, Algeria and Burkina Faso. 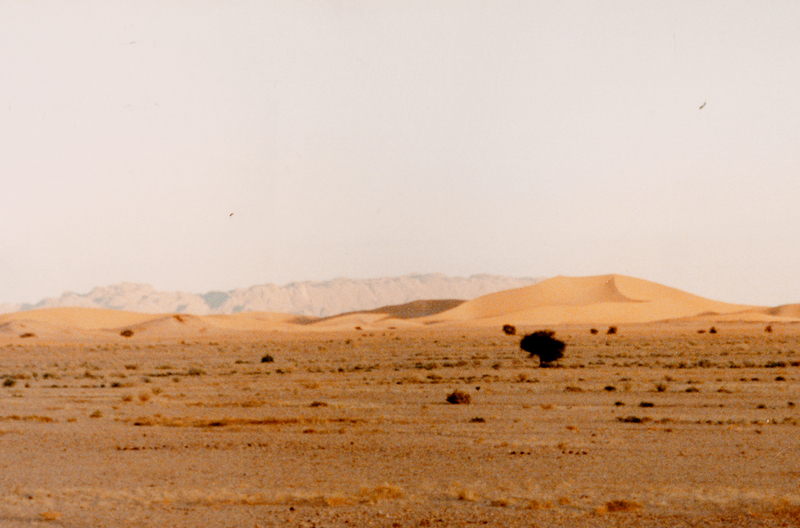 Tuareg is an Arabic term meaning abandoned by God. They call themselves Imohag, translated as free men. 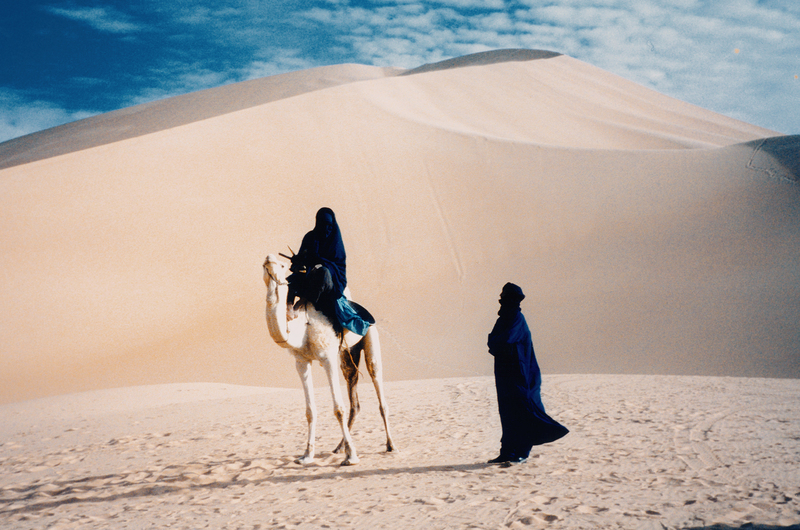 No one knows the true origin of the Tuareg, where they came from or when they arrived in the Sahara. 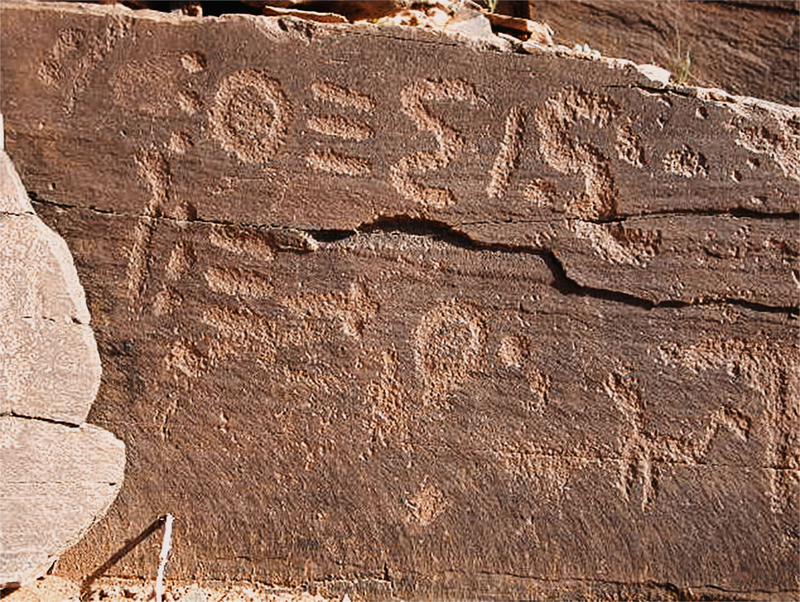 Reputedly of Berber descent, the language of the Tuareg is Tamachek, with their own script known as Tifinagh, thought to have ancient Libyan roots. Their numbers are unclear, but estimates run between 300,000 and 1 million. The Tuareg were recorded by the Greek historian Herodotus in the 5th Century BC. The most striking attribute of the Tuareg is the indigo veil, worn by the men but not the women, giving rise to the popular name the Blue Men of the Sahara, or Men of the Veil. Men begin wearing a veil at the age 25. One of the traditional dances of the nomadic Tuareg is the 'Tam Tam' where the men on camel circle the women while they play drums and chant. 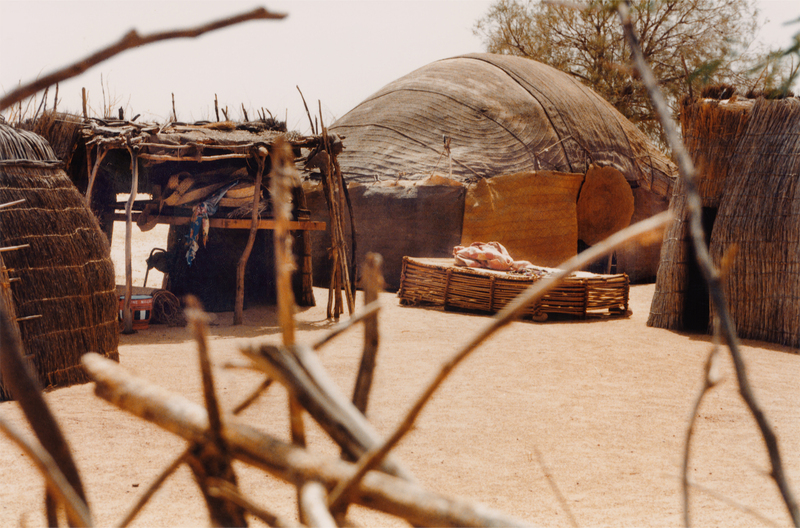 The huts of the Tuareg nomad are easily constructed, and comprised of weaved matting and tradition fabrics on a timber frame. 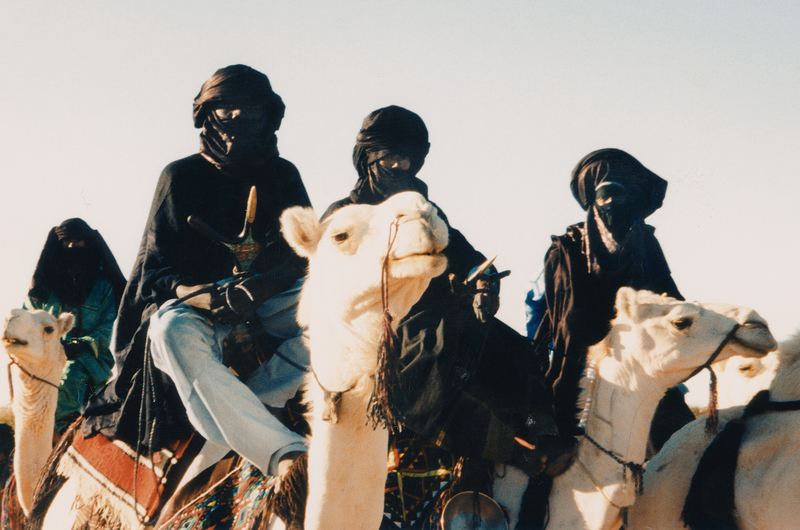 Although most Tuareg now practice some degree of Islam - the Maliki sect of Islam, resulting from the teachings of the great prophet El Maghili from the early 16th century - they are not considered Arabic. They have preserved many pre-Islamic traditions and do not strictly follow many Islamic rituals. 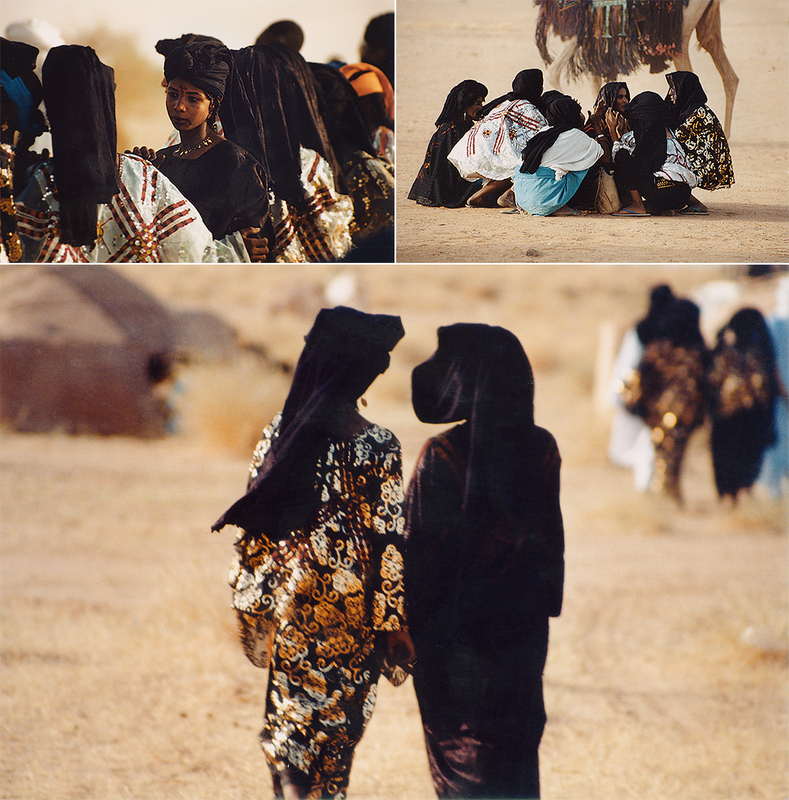 Among the Tuareg the women have a great freedom and participate in family and tribal decisions. Descent and inheritance are both through the maternal line. 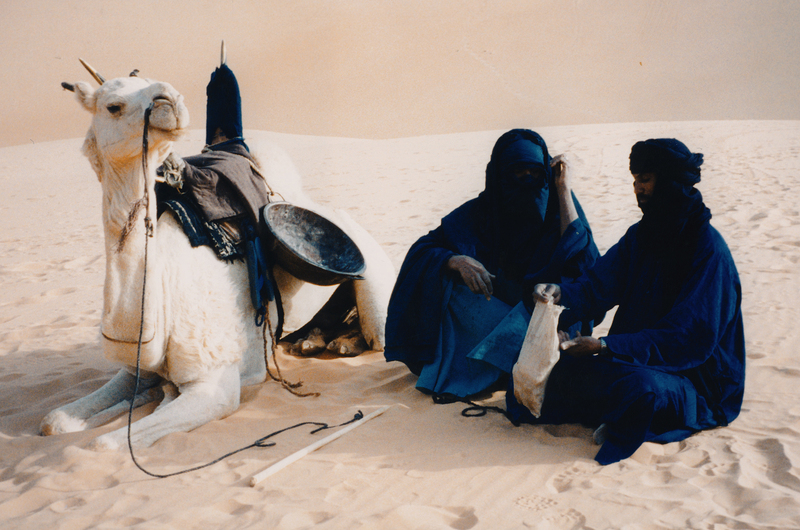 Tuareg camel caravans played the primary role in trans-Saharan trade until the mid-20th century when European colonial infrastructure - railways and roads - were introduced. 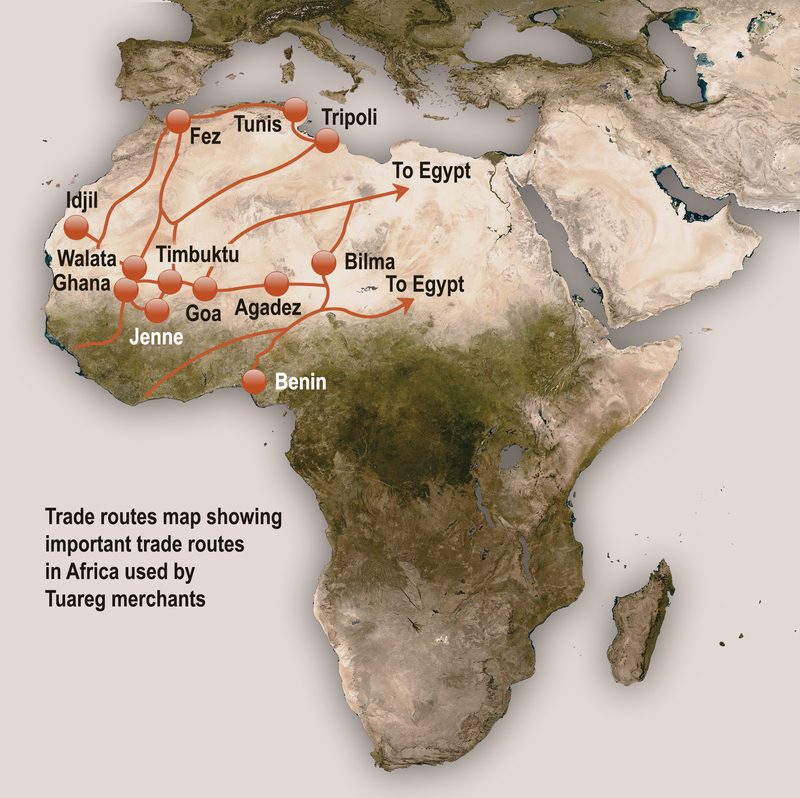 Until then, there were five principal trade routes which extend across the Sahara from the northern Mediterranean coast of Africa to the great cities on the southern edge of the Sahara. 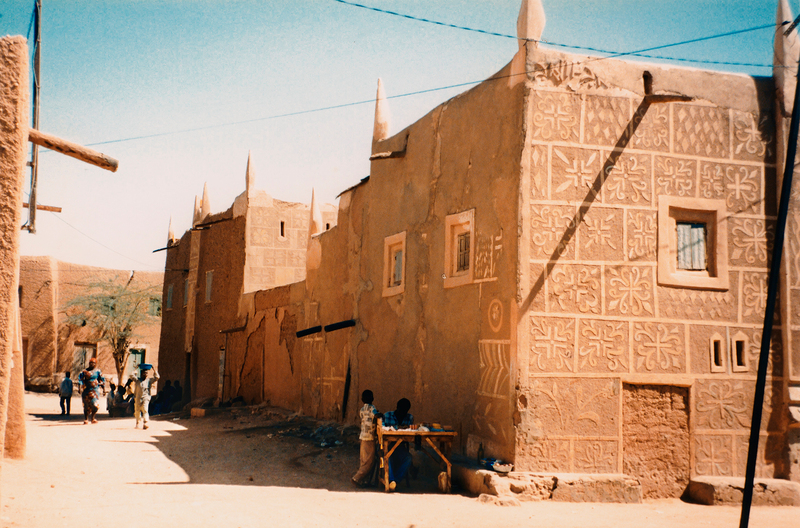 Tuareg merchants were responsible for bringing goods from these cities to the north. From there they were distributed throughout the world. 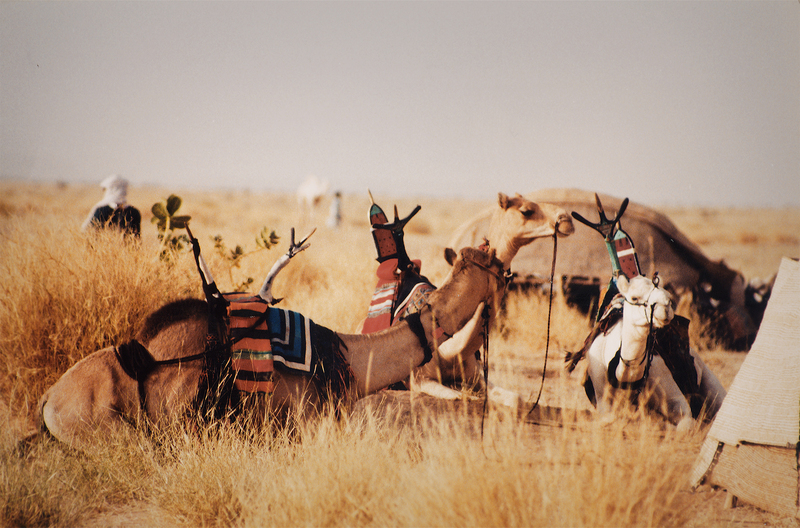 Because of the nature of transport and the limited space available in caravans, Tuareg usually traded in luxury items, things which took up little space and on which a large profit could be made. Tuareg were also responsible for bringing enslaved people north from west Africa to be sold to Europeans and Middle Easterners. 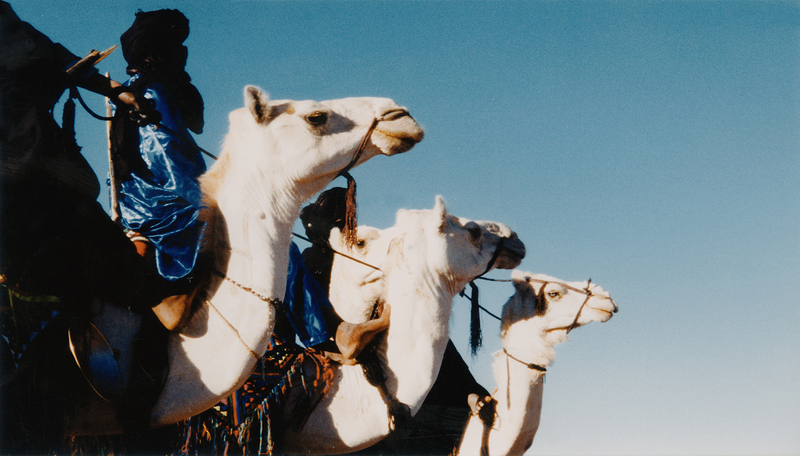 Many Tuareg settled into the communities with which they traded, serving as local merchants. 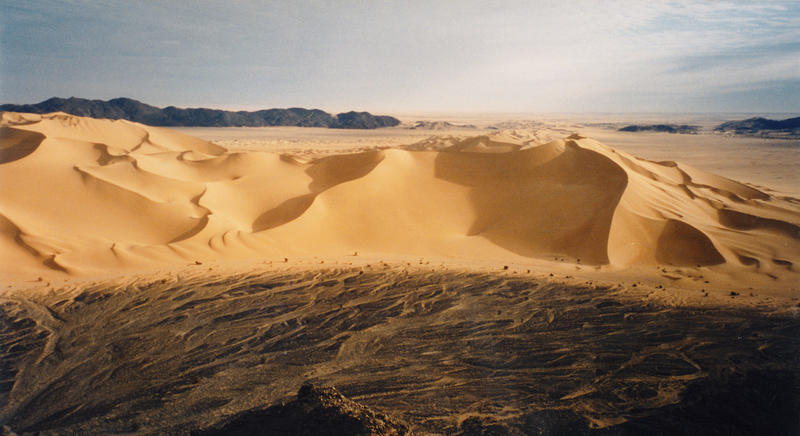 One of the most important trade routes across the Sahara was to the west - the Taghaza Trail - in the north from the oasis town of Aoudaghost (near Fez in Morocco) to the Atlantic coast (now Freetown in Sierra Leone). The route passed through Sidjilmasa, Taghaza, Walata, Ghana, Bamako and Niani before reaching the coast. Flowing south - beads, ceramics, glass, oil lamps, saffron, dates, flour and salt. Flowing north - slaves, kola nuts and gold. 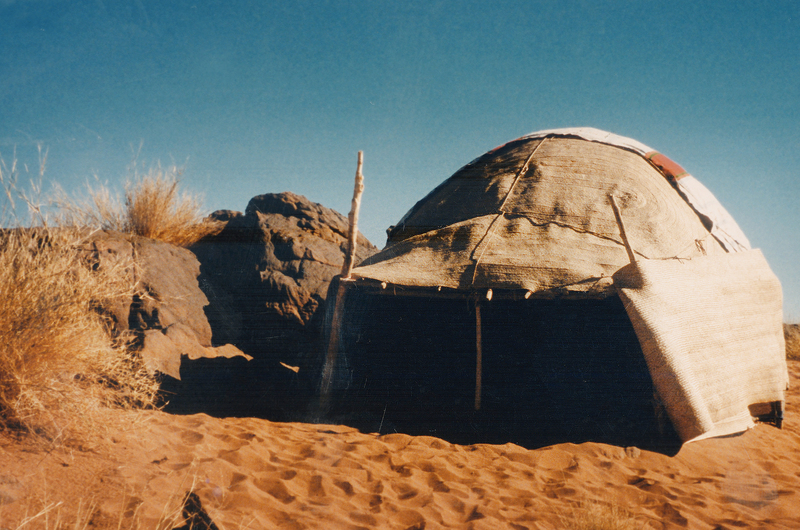 Off this to the west ran the route from Idjil, through Tichitt to Walata, bringing salt. This route then went on to be one of the main east-west routes across the Sahara; from Walata on to Timbuktu, Jenne (to the south), Goa, through the Tenere Desert to Agadez, before joining the north-south route in the east, running from Benin in the south, through Bilma and Zawilah, before heading north into Egypt. Flowing east - salt, kola, gold, ivory, and slaves. Flowing west - copper, ceramics, and cowrie beads. Two further diagonal routes crossed the Sahara. 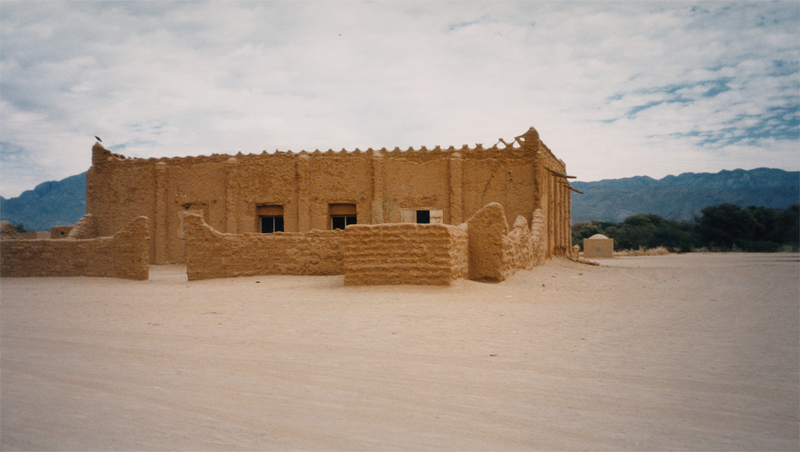 From Timbuktu, through Araouane and Taoudenni, then across to Ghadames before reaching Tripoli. And to the south, from Gao across to Ghat and then on to Egypt. Towards Egypt, gold, slaves, ebony and ivory, in exchange for ceramics, glass, oil lamps, silk, saffron and beads. 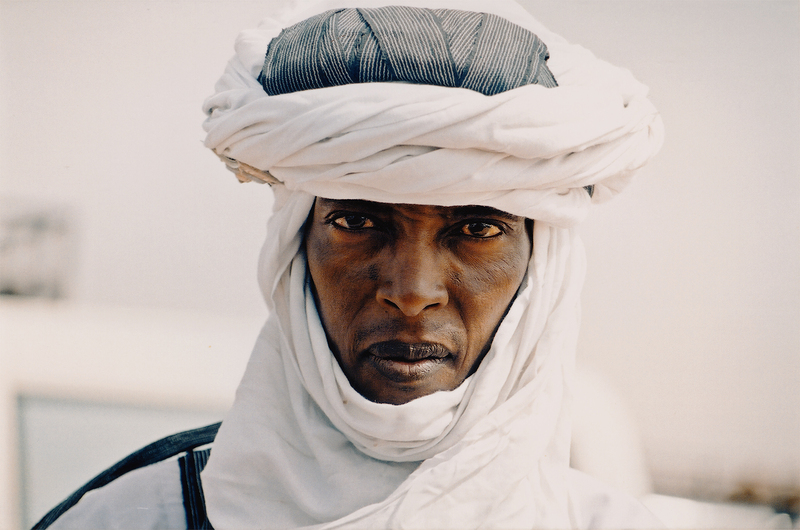 Historically, Tuareg society was divided between those who tended the land and those who did not. At one time, tilling the land was considered the work of the lower classes, while the upper classes reaped the benefits of trading. 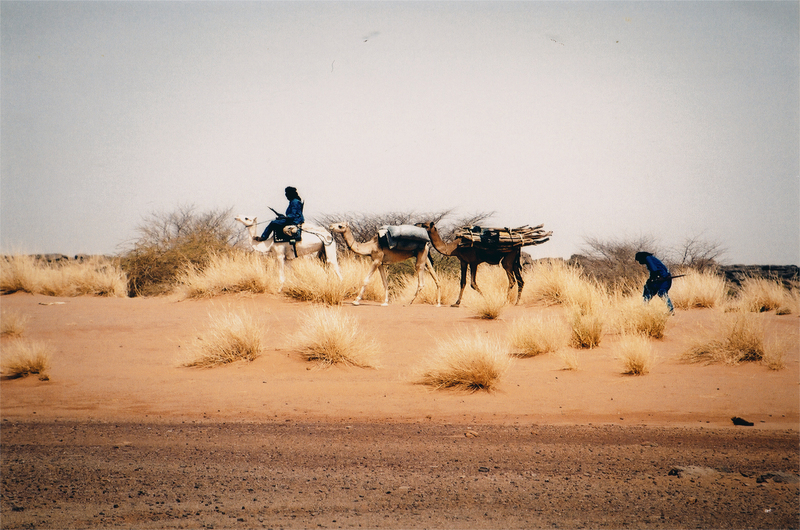 Usually groups of sedentary Tuareg would pay allegience to a locally appointed headman, who in turn would report to the noble who considered the village his domain. 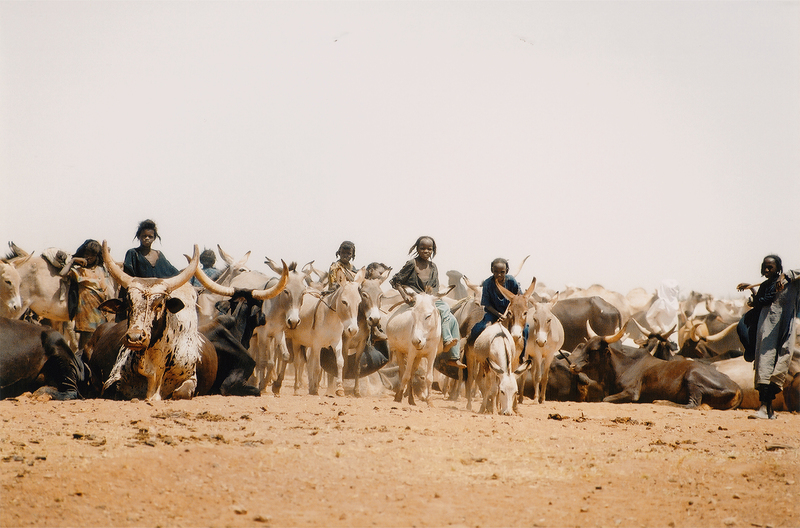 As time has passed, however, these sedentary farmers have been able to accumulate wealth while the trans-Saharan trade routes diminished in importance. They were also given political status by colonial and postcolonial administrations. The Tuareg have survived in the harsh Saharan environment for thousands of years, a region that has also played host to a succession of political struggles, which the Tuareg has also survived. Between 1916 and 1917 the Tuareg rebellion was a reaction to French colonialism. 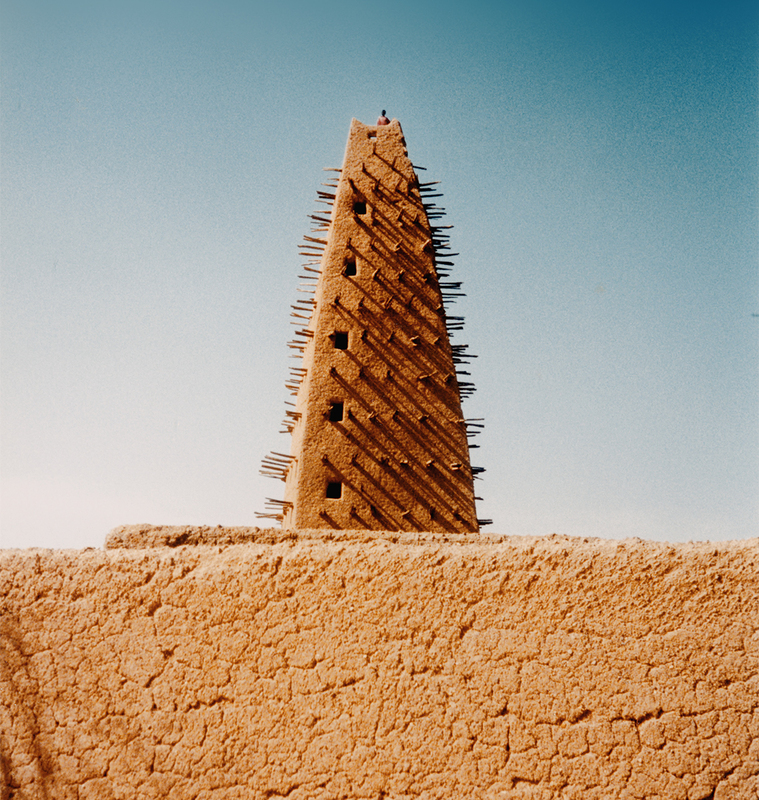 Between 1961 and 1964 it was a reaction to the Mali government land reforms infringing upon traditional Tuareg areas. Between 1990 and 1995 the Tuareg in Niger sought autonomy from the government, ending in a peace deal which promised them a bigger share of the region's mineral wealth. In February 2007, again because of unequal distribution of mineral wealth - the uranium deposits - fighting has resumed. The central government in Niamey has shown itself unwilling to cede control of the highly profitable mining to indigenous clans; the Tuareg are determined not to relinquish the prospect of substantial economic benefit; the French government has independently entered the fray to defend a French firm, Areva, established in Niger for fifty years and now mining the massive Imouraren deposit. 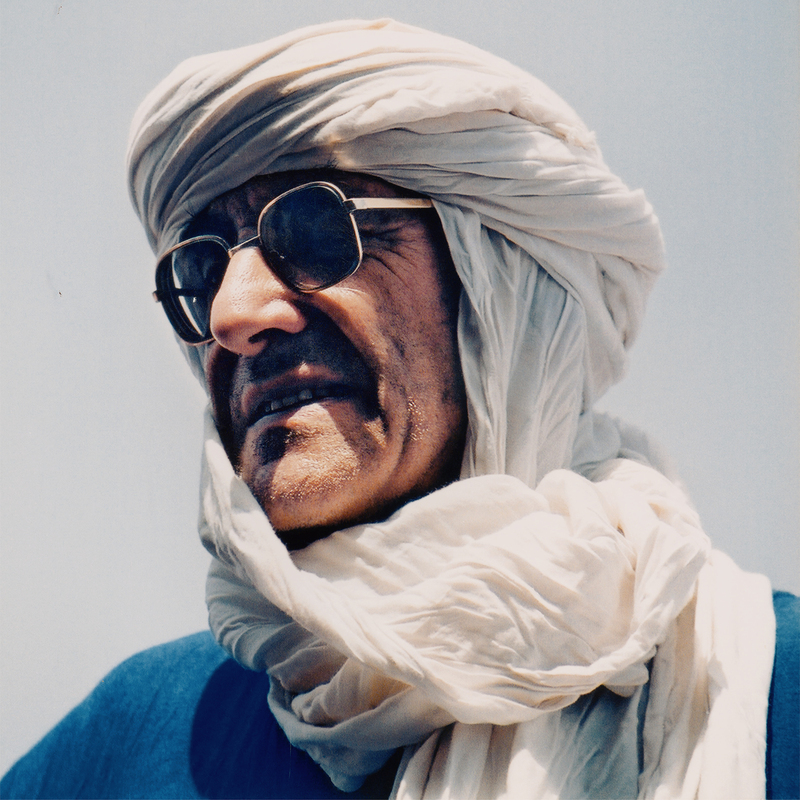 It is with great excitement that we report that Dr Jean Clottes who, as everyone knows, has been a major contributor to the understanding of Rock Art around the world, has been honoured by the Blue Tuareg people of the Sahara Desert. In a rare ceremony in the Niger Sahara outside Agadez, Jean was made an Honorary Tuareg with the name ALMAWEKIL, literally translated as our respected representative. 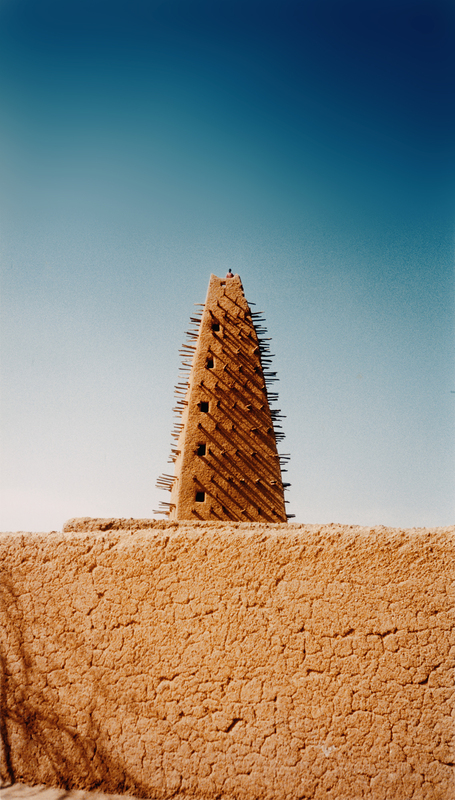 An unique accolade bestowed by the wonderful desert people whose home for many thousands of years has been the vast expanse of desert between the Nile and Timbuktu. I am sure you will join us all at the Bradshaw Foundation in congratulating Jean on this honour in acknowledgement of his services to mankind.